Installing a basic dimmer switch in your home provides a great opportunity to add mood lighting to a room. This video demonstrates how to easily add a dimmer switch in a room. 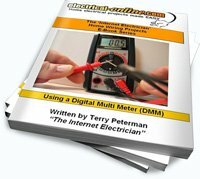 This entry was posted in How-To-Videos and tagged dimmer, dimmer switch, DIY wiring, electrical wiring, home electrical, home wiring, house wiring, how-to wiring, replacing a single pole switch, single pole switch, switch, wiring a dimmer switch. Bookmark the permalink.